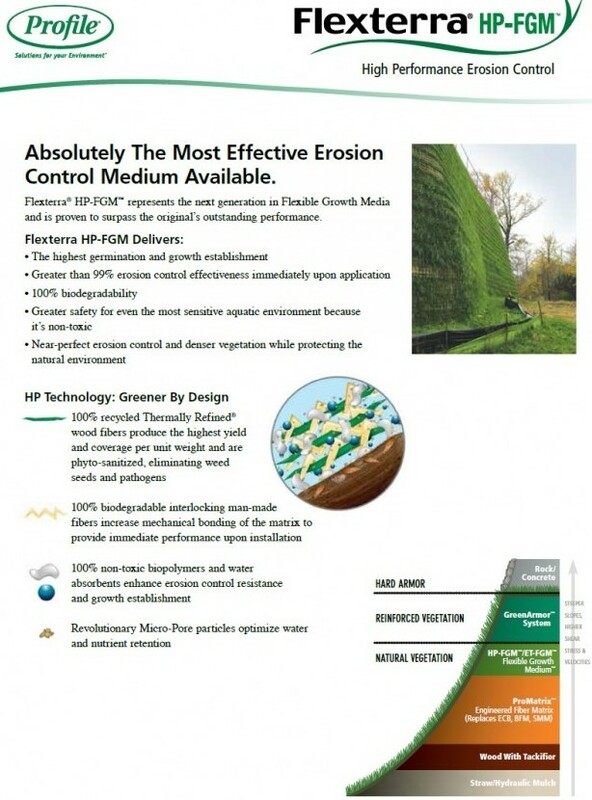 Do you want cost-effective and earth-friendly erosion control? With our holistic approach to establish vegetation, our customers are able to achieve greater project success. We bring proven products and expertise to each job in order to deliver superior erosion control. Our approach of managing soil and water creates faster and denser vegetation establishment. 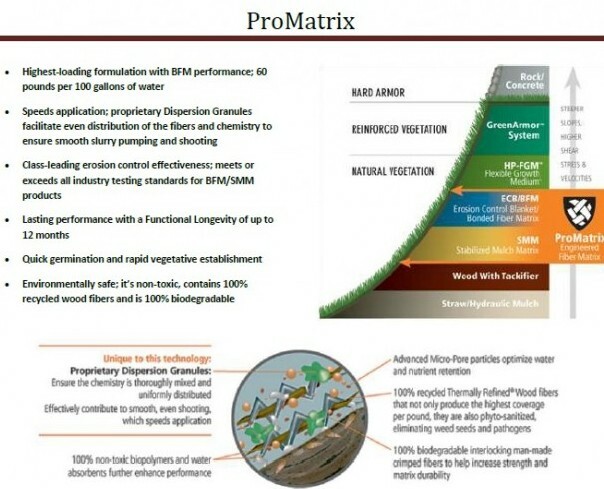 We HydroMulch using Flexterra and ProMatrix top quality BFM mulch to provide you with the best results.